After years of experiencing love going sour, Katherine Woodward Thomas set a goal: She would marry her soul mate within a year. Her quest inspired a surprising awakening that spurred her to look deep inside for the key that would unblock love. Thomas realized the transformation that enabled her success involved clear steps that could help anyone. Today, the licensed psychotherapist and relationship expert has guided thousands toward successful relationships via her national bestseller, Calling in “The One”: 7 Weeks to Attract the Love of Your Life, and subsequent books and seminars. What catalyzed your Calling in&n bsp;“The One” professional journey? I was 41, a card-carrying member of one of America’s largest-growing groups—the never-marrieds. I had bought into the cultural belief that a woman my age had little chance of finding a great husband. I felt anxious and resigned, trying to come to terms with it, but sad inside. Fortunately, at the time, I was part of a small group supportive of each other’s intentions. So I set the outrageous intention that I would be engaged by my next birthday. I also recognized my longstanding pattern of attracting unavailable men who were engaged, married or alcoholics. A woman in the group said, “Katherine, I will hold that intention with you if you permit me to hold you accountable to be the woman you would need to be in order to fulfill it. Her wake-up call turned my focus from running out to find love to going within to discover the barriers I had against it. Thus I began what became the Calling in “The One” process. How does it differ from other approaches to finding love? Many approaches focus on the external reasons love is elusive, such as all the good men are taken, men don’t like powerful women or just not having met the right person. This approach focuses more on the internal reasons—going within to discover and release one’s own conscious and unconscious barriers. For most of us, a gap exists between how much we think we want love and how much we are actually open and ready to receive it. Until we bridge that gap, we will covertly keep love at bay, and won’t even realize we are doing it. What are the most common hidden barriers to love? One hidden barrier is resentment. We only resent people to the extent that we’ve given our power away to them. Uncover your role in what happened. Even if it was 97 percent their fault and 3 percent yours, zero in on that 3 percent, because you’ll only be able to trust yourself to love again once you’ve taken that responsibility. If you still feel resentful, you have not yet evolved beyond the person you were before. Another centers on old agreements—the spoken and unspoken, agreements we make, usually in an emotional time—such as “I’m never going to let myself get hurt again” or “I’ll never love anyone the way I love you.” Such agreements live in our lives as intentions. They may no longer be conscious, yet still set our course. Another has to do with toxic relational dynamics. To find the best partnership, you need to be your best self. Maintaining a toxic dynamic drains personal power, making it hard to move forward in life. It’s vital to evolve out of this debilitating dynamic so you are in the center of your power everywhere in life. The fourth area, and probably the most important, revolves around the core beliefs you hold about both yourself and others. You might have a reasonably clear sense of yourself around money, career and friendship, but your core love identity might cause you to believe yourself unworthy of a quality partner. Identifying and challenging these beliefs is critical in learning how to break free from them, helping to raise your value in your own eyes and thus in others. You believe the best way to find a needle in a haystack is to become magnetic and allow that needle to find you. 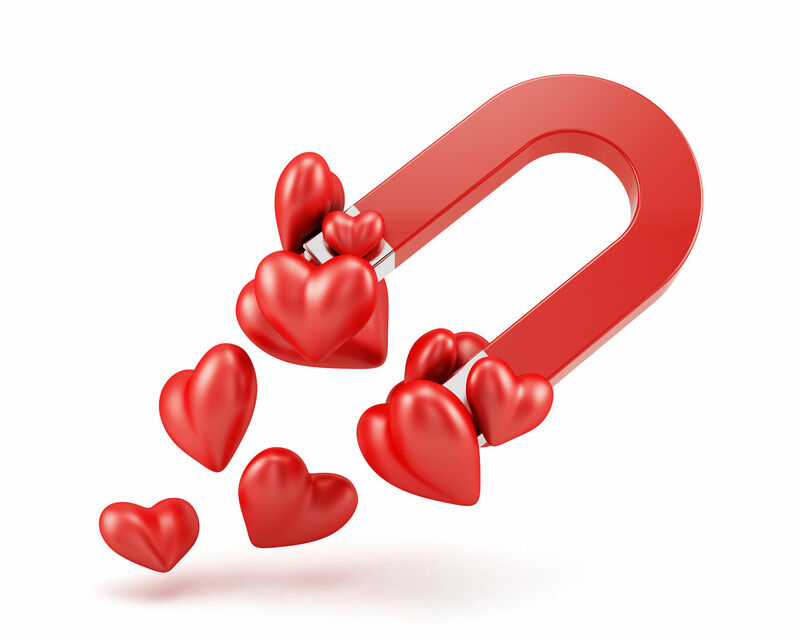 How does one become magnetic to love? Being centered in the truth of your own value and the real possibilities you hold for true love is wildly attractive. Love yearns to embrace us, but can’t come to us if it can’t come through us. When we shift into this place of possibility, we can become profoundly magnetic to love. Freelance journalist Debra Melani is from Lyons, CO. Connect at DebraMelani.com.